Mayokun Awodumi la(May D) was born in Lagos, Nigeria to a family of seven (5 boys). He hails from Ekiti State Nigeria. A University of Lagos Mass Communication graduate, May D’s romance with music started with him watching Micheal Jackson as a kid and later grew with his frequent mime performances while he was in King’s College Lagos. He started building his career as a member of a dance and singing duo called “Just Us” in secondary school. Whilst still a student at University of Lagos and after his partner relocated to the UK, he continued developing his art; recording songs, performing at shows until he got a big break, getting signed on to Square Records. While he was in Just Us, he used to sing and put their songs out on the radio. Then, they were just doing it for the fun of it. Their friends would call them and tell them they heard your song on the radio and they’d be so excited. It was fun to them because they were really young. At some point, Ope left to London to further his education and he went to Unilag where I he some guys who noticed him and offered to help his career. The studio was somewhere around the campus. He was there for about two years just making songs but they never put it out. One day he left those guys and started doing his own thing; putting his songs on CD, sharing it to people and that was how he met Alaye when he performed at the “2Face and Friends Tour with MTN” in Unilag. It was gathered that May D was signed to Square Records in the year 2011/2012 and has released few hit tracks under the label including ‘Ile Ijo’, ‘Soundtrack’ that went viral, and the remix he did with Akon and P-Square ‘Chop My Money’. 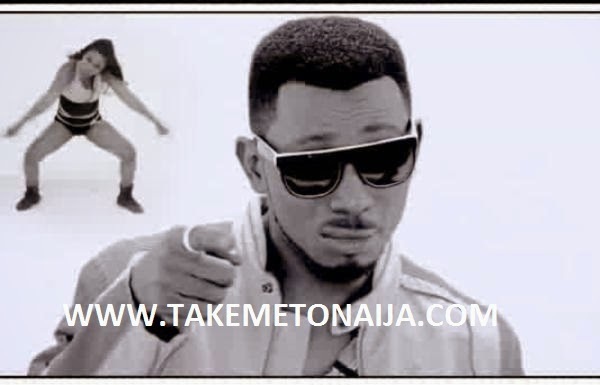 May D released another single SO MANY TINZ in February 2013 with the video released a couple of months later. It was themed after the popular American movie Django Unchained. May D collaborated with MAFIKIZOLO, a South African based duo signed to KALAWA RECORDS, on one of their more popular songs HAPPINESS off their 2013 Album REUNITED. He is also featured on DJXclusive’s 2013 hit single ‘NO TIME’ which also has Tillaman and Skales on the song. His debut album titled CHAPTER ONE was released on May 10th, 2013. The album, which has 20 songs, has been well received. A concert for the album release was held in Abuja on the 26th of May, 2013 at the Thisday Dome. The launch was supported by Davido, Reminisce, Olamide, Iyanya amongst others. There are ongoing plans to have a concert for May D in Lagos sometime in 2013. May D has performed in different parts of the world. Some of these places include Cyprus, London, Paris, Congo, South Africa, Cameroun and Cotonou to name a few places. But another source says he has been working with the popular duo secretly for about 4years until the final split between them in the year 2013 after Square records unexpectedly release a statement showing that he is off the record label in which he doesn’t even know until he saw the press report online which according to him he was really freaked out and amazed. According to the ‘Ile Ijo’ crooner, he woke up to hear that he is no more officially with the label. No one really knows the relation between Paul and Peter Okoye and Mr. May D, but that Akinmayokun Awodumila is the first signed recording artist to the Square Records label. Ever since the signing of May D, fans have grown to love the Afropop singer and his swaggerific dance moves displayed in the ‘Ile Ijo music video. The breaking news about May D departing Square records, came days after the Okoye’s buried their late mother, Mrs. Okoye on the 2nd of August 2012. According to Jude ‘Engees Okoye, the CEO of Square Records/Northside Entertainment, the reason for dropping May D from the record label is due to “irreconcilable differences”. Further more, to investigate the depth of the situation, Nigeria Music Networkobserved that May D’s YouTube Channel (OfficialMayD) has been closed down and all music videos disabled on the platform. May D, who was initially scheduled to perform at the LoveAfroBeats festivalin London alongside P-Square and Wande Coal, was missing in action. Well, the star singer Davido was also said to be involved in the break between this partners as it was reported that Davido really want singer May d on his record label HKN which lead to him paying for May d’s popular music video instead of his record label paying. Read ALSO: Pastor W.F KUMUYI Full Biography,Life And News. In 2013/2014, he launched his own record label Confam entertainment after he was removed from Square records and he has since then been proving himself to do better than before.. He was featured by a South African music group Mafikizolo and featured in more other hit singles.. He was reported to have gotten himself a huge mansion same year all together. Well, year 2014 has been said by fans to be a bad one for star as he failed to release much hit singles as expected of him. He has won more awards and also nominated in many awards..
Has no popular endorsement deal yet..
Was said to have drank to stupor in a popular club in lagos.. After photos trend the internet.